Earlier this week BBC News wrote a piece on contactless payments under the title “Will paying with contactless cards make us less healthy?”. The contention here is that paying with contactless is so simple and without any visibility of ‘real’ cash it’s too easy to spend more, especially on unhealthy snacks. I can see the argument although disagree with it from my personal perspective. Yes, contactless payment is simple with less friction than cash or indeed chip and PIN but it doesn’t make me spend more. However my contactless payments (almost) always have one key difference compared to standard contactless payment using cards – a mobile handset. When I make contactless payments I always get an immediate notification to my Apple Watch (via my iPhone) either because I’ve used Apple Pay or because I’ve used Mondo. Both payment methods give me instant visibility of what I’ve paid but without the friction of using cash. Contactless payment by card is a transitory step on the way to paying by mobile handset. Whilst mobile payments like Apple Pay and Android Pay are still niche they will continue to grow (Apple Pay launched across Singapore’s major banks this week). The security and information that mobile payments provide to users will ensure their eventual success. As I outlined recently, it’s all about giving consumers control over their money. This post first appeared on Disruptive Views. There’s been a lot of comment recently about the success of contactless payments in the UK. I’m a big fan of contactless payments, especially when they’re secured and tracked using Apple Pay. Contactless takes some of the friction out of paying and delivers a simpler consumer experience. However despite the growth in contactless, the reality is a myriad of inconsistencies across retailers, especially where contactless involves mobile handset payments like Apple Pay. My recent research indicates that consumers are still presented with a confusing and inconsistent experience when using contactless payments. For the average consumer it’s impossible to know which contactless payment methods work where. 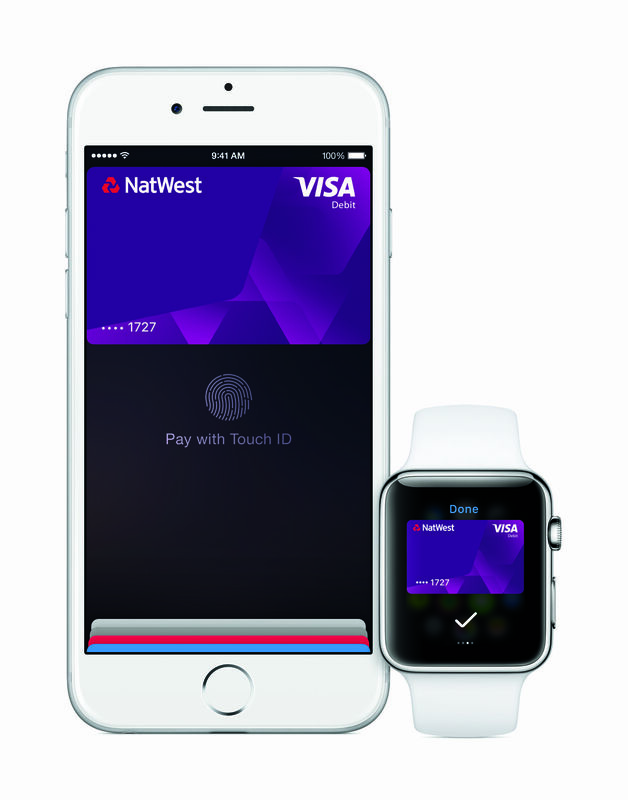 For example, Waitrose supports American Express via card contactless, Apple Pay handset and Apple Pay Watch. However go to Boots and Amex card contactless works fine but neither Apple Pay handset or Watch works – presumably an acquirer or hardware issue. Pret a Manger Amex card contactless and Apple Pay handset are fine but Watch fails. Elsewhere, some stores accept Amex Chip and PIN but not contactless. Apple Pay transactions do not need to be limited by the £30 transaction limit as the handset is covered by Consumer Device Cardholder Verification Method. However the only evidence in store I’ve seen where this limit does not apply is in Apple’s own stores. To prove this I paid for a MacBook Pro with my Apple Watch last year (an expensive experiment!). Other stores that have lifted the limit seem to keep it a closely guarded secret! To further add to consumer confusion, Tesco has now launched its own handset based payment method PayQwiq which uses an app generated QR code to pay with a pre-loaded credit or debit card. I really don’t want retailer specific payment apps as well as generic ones – this just adds to payment friction. Payment methods must be ubiquitous and consumers not be expected to think about what will and will not work. The payment industry must work to create consistency across retailers so consumers can pay with certainty. Originally published on Disruptive Views. Historically card acceptance in-store was fairly straightforward. You knew if shops took cards because they had a sticker in the window; if they took cards you were safe with Visa and MasterCard and if you were lucky they also took American Express. The arrival of contactless payments brought greater payments convenience at the point of sale but also confusion. Consumers were now faced with a new way of paying with cards and having to determine if the option existed in their store of choice. Sometimes the card reader has a contactless label on it, sometimes the LCD display shows contactless acceptance, sometimes it’s necessary to ask for contactless to be enabled for the transaction, sometimes the card reader looks like it’s a contactless terminal but contactless hasn’t been enabled on it. What’s happened to taking friction out of payments? Recently I discovered another twist in the contactless acceptance story. Some stores that accept American Express, do not accept American Express for contactless; it’s Chip and PIN only. And it’s not just small stores where this is a problem; I recently discovered this in WH Smith after battling with a self-serve contactless terminal. 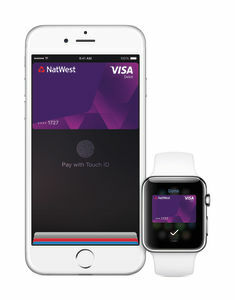 The arrival of Apple Pay in the UK has further highlighted the chaos around card acceptance in stores. 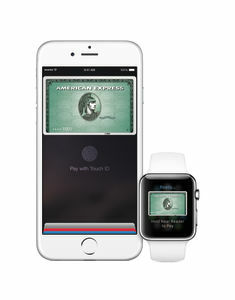 Displaying the Apple Pay logo in-store should mean that consumers can always pay with Apple Pay; however to make an Amex Apple Pay payment, the store must also accept Amex cards and accept Amex for contactless. Plus, thanks to Consumer Device Cardholder Verification Method, Apple Pay does not need to be restricted by the £20 contactless limit for cards; however so far it seems that only Apple’s own stores and Pret a Manger have lifted this limit. Other stores will do so over the next few months but again it’s a muddled landscape for consumers. I guess this all makes perfect sense to people in the payments industry but to the consumer who just wants a simple way of paying in-store? Definitely not. It’s confusion like this that sets back the case for moving away from cash and cards for in-store payment. The payments industry needs to do more to take the friction and frustration out of payments by removing point of sale confusion around product acceptance. Apple Pay comes to the UK – at last! As everyone now knows, Apple Pay launches in the UK in July. If you have a card from a participating issuer and an iPhone 6, 6 Plus or Apple Watch (paired with an iPhone 5, 5C, 5S, 6 or 6 Plus) you can pay in store at contactless card terminals. In app you can pay using an iPhone 6 or 6 Plus or iPad Air 2 or Mini 3. So far my experience of using my Apple Watch to pay in store has been limited to Starbucks (using the Starbucks app) so I’m very excited about using it in lots more stores! Apple has clearly done a good job getting a critical mass of card issuers on board at launch with most of the major issuers committed, either at the start or soon after. At launch American Express, First Direct, HSBC, Nationwide, NatWest, Royal Bank of Scotland, Santander, Ulster Bank cards will be supported. Bank of Scotland, Halifax, Lloyds Bank, M&S Bank, MBNA, TSB will follow. Obvious omissions are Barclays and Capital One. Whilst Barclays has its own strategy around Pingit and also contactless wristbands, it is still a curious decision not to sign up at the start and one that will annoy many customers. Both Barclaycard and Capital One in the U.S. support Apple Pay which just goes to show how fragmented banks and payments markets are! There are around 400,000 places that support contactless payments in the UK. It appears that most of these will limit Apple Pay transactions to the usual £20 contactless transaction limit (£30 from September), despite the superior authentication offered by Touch ID. However some retailers will not be bound by the limit, as in the U.S. I suspect that some contactless terminals will not support Apple Pay, especially early generation models. Currently neither my American Express nor Capital One cards work for contactless payments via any Caffe Nero terminal I’ve tried (Chip and PIN is fine and contactless elsewhere works). These terminals are old and seem to be incompatible with newer contactless cards. Apple has a handy summary of the key places where you can use Apple Pay, both contactless and in app Apple Pay stores. Whilst Apple Pay is not truly disruptive because it uses the existing card scheme payment rails, it moves consumers along the journey of mobile device payment acceptance whilst improving transaction security. For consumers, frictionless payments moves a step closer. The launch that will perhaps have the biggest impact on consumer payments over time was Apple Pay. Apple Pay takes a lot of the friction out of the transaction process and combines this with much improved security. Whilst it has got off to a fairly slow start in the US, once Apple starts promoting it via handset prompts and merchant acceptance improves, it will start to make a major impact. International expansion is scheduled for 2015 so will be interesting to see which banks jump on board in the UK. The roll-out of contactless card payments across the London Underground, following the move to cashless travel on buses, is probably the biggest boost to contactless payment adoption we’ve seen since contactless first emerged. This will help contactless payment become a more mainstream payment choice in the London region – I’ve already surrendered my Oyster card! Moven in New York launched to the public and showed the rich functionality a digital bank can deliver to its customers via an app. Moven has since licensed its technology to Westpac NZ and TD Bank, showing the interest that traditional banks have in delivering an enhanced digital service. I’m hoping we will see a UK Moven licensee in 2015. The launch of Paym in the UK marked the start of simple, ubiquitous, mobile, person-to-person payments. Being able to pay someone with just their mobile number (no more account numbers and sort codes) was something I imagined many years ago and it’s now a reality, at least for customers of the banks that have got round to launching; and launching both pay and receive (unlike my friends at NatWest!). One of my personal favourites this year was discovering there is a bank in the UK that has over 180 branches, no counters and offers a service that combines the best of personal banking with decent apps. Handelsbanken must be the best kept secret in UK banking!